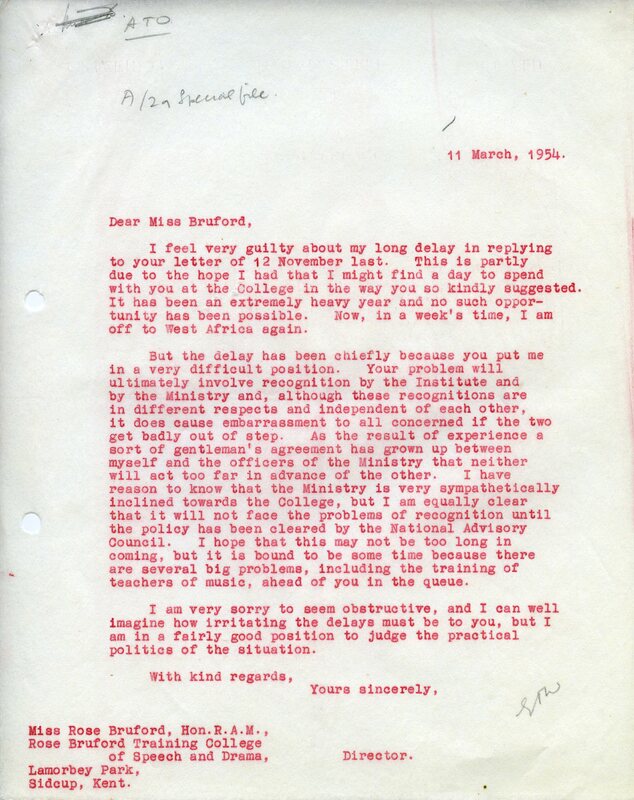 In 1949 the University of London established an Area Training Organisation (ATO) in response to the recommendations of the McNair Committee, which had reported in 1944. Based at the existing Institute of Education, a University Training Department (UTD) providing teacher training courses, the ATO was responsible for overseeing the development of teacher training provision in London and the South East. 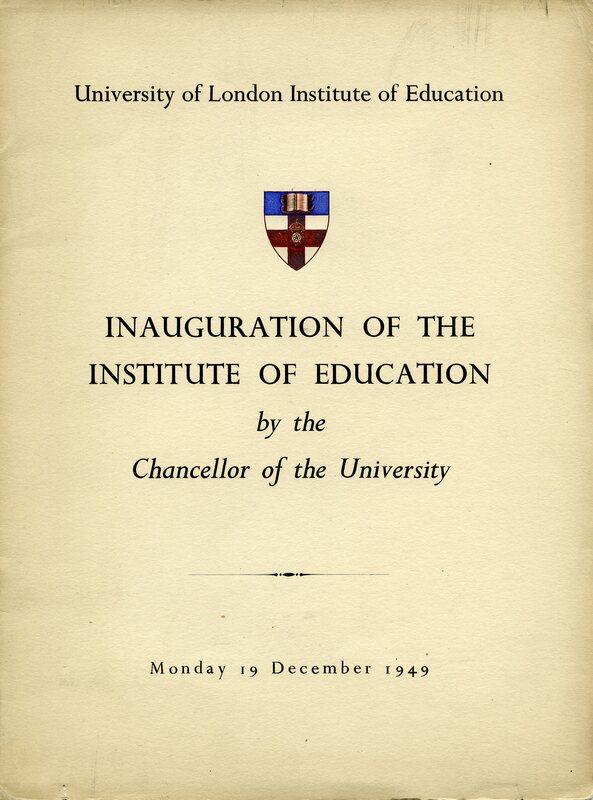 Rather confusingly, to ensure the new organisation benefitted from the standing of the original Institute, the newly created ATO was also called the Institute of Education. So the largely separate roles of the ‘old’ Institute, providing the central function of teacher training, and the ‘new’ Institute, providing the wider function of the ATO, were run from one building, with one central administration service, under a new constitution. With more than thirty constituent colleges (including the central Institute) the ATO oversaw the training of nearly a quarter of all student teachers in England and Wales. • Discussions with central government, Local Education Authorities and other universities around the country regarding the work of the ATOs. The project was part of an ongoing task to catalogue the Institute’s archives. The list is not yet available online, so please contact the archives for further information. This entry was posted in Library and Archives and tagged archives, government policy, IoE history, teacher education, teacher training. Bookmark the permalink.